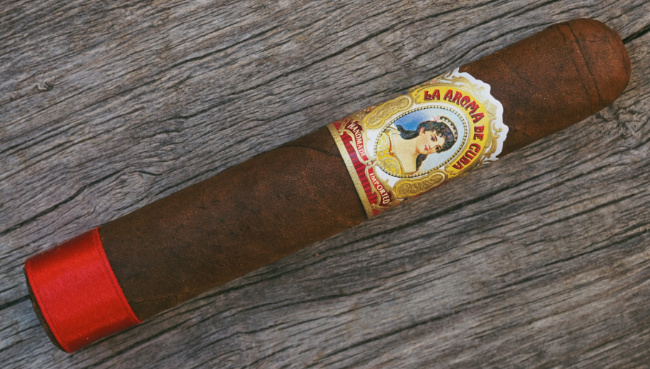 One of the most classic blends you’ll commonly see represented in the cigar world is La Aroma de Cuba, available from Holt’s in 9 unique sizes, as well as a variety of cigar samplers. LADC is an amazingly tasty cigar and very affordable – ranging from just $5-8 for a single smoke. Being comprised of Nicaraguan tobacco, LADC cigars are rich and woody, with notes of black pepper that give way to a wonderful palate of peanuts, almonds and sugar cookies. This is a cigar that is perfectly balanced between sweet, spicy and creamy, and in this price range, these would be the perfect cigar to fill your humidor with as their flavors are approachable and satisfy many cigar-smoking preferences. I paired the La Aroma de Cuba with a drink that I invented just for this pairing: a Double Rum Old Fashioned. 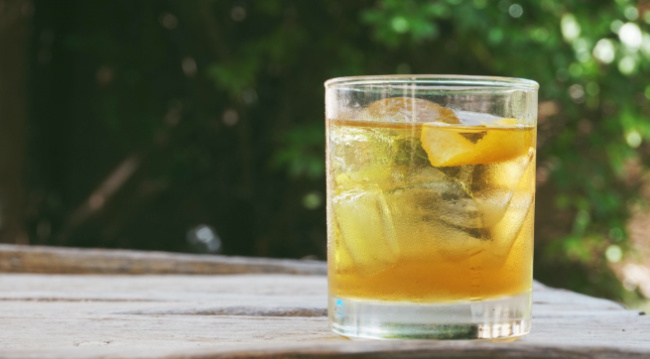 This is a sweet and citrusy drink that adds an acidic and smooth element to the pairing, and this is a drink that’s so familiar and tasty that it would easily be enjoyed by most drinkers. Thanks to Holt’s Cigar Company for sponsoring Simple Guy Stuff. This entry was posted by admin in cigars and tagged double rum old fashioned, holts, holts cigars, la aroma de cuba cigar, la aroma de cuba cocktail pairing, la aroma de cuba pairing, rum old fashioned on July 25, 2017 .